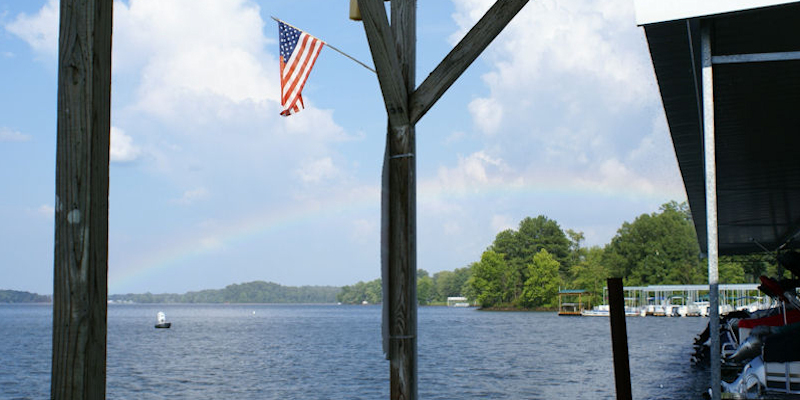 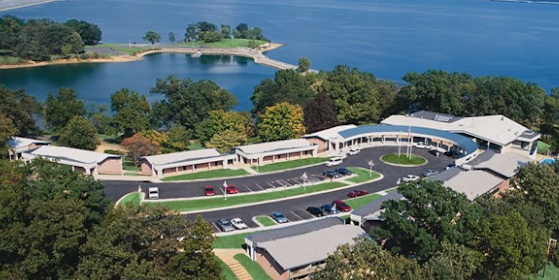 Get a cabin or cottage around the Kentucky Lake area - a great lodging option when visiting Land Between The Lakes! 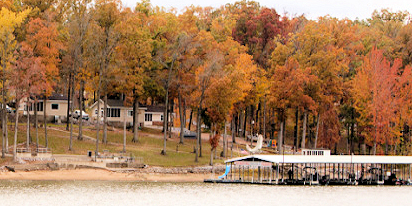 Lake Cottage in the Woods is located in the Moors area at Kentucky Lake. 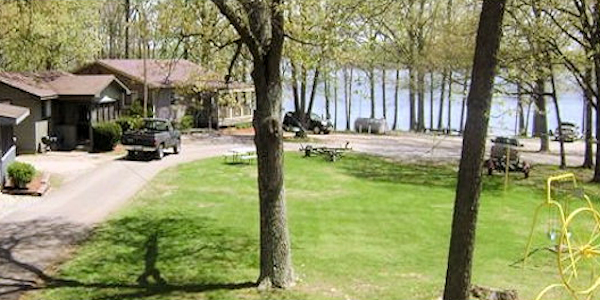 It rests upon a hill between two coves and is a comfortable getaway for four to six people. 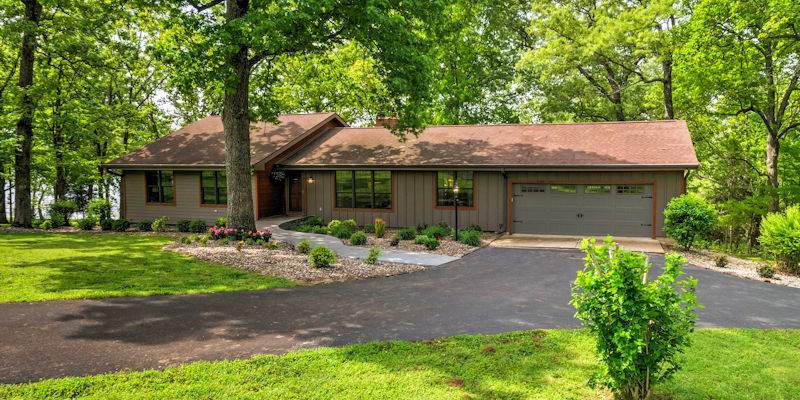 From the exterior rustic setting shaded by tall trees to its immaculate modern comforts you'll find it provides the best of both worlds. 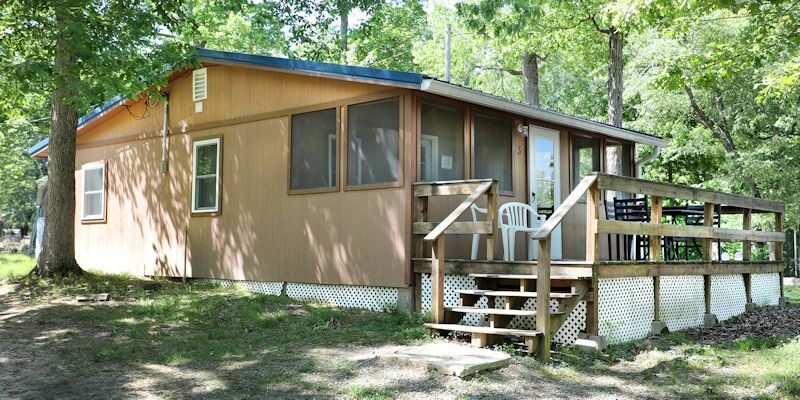 Located Just 3/4 mile from Kentucky Lake in Aurora! 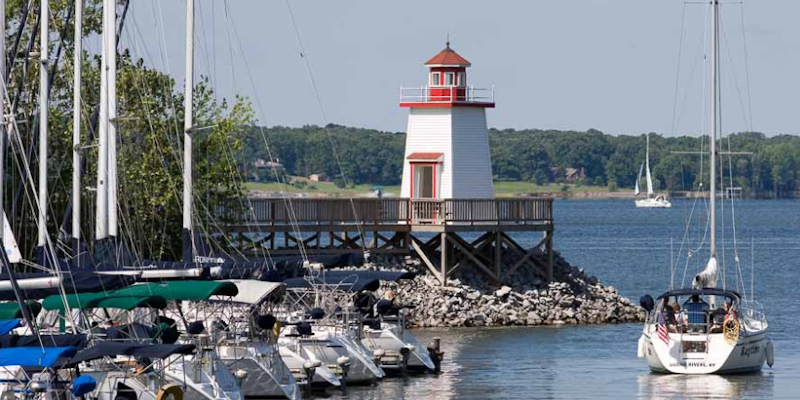 Marinas & Restaurants Nearby! 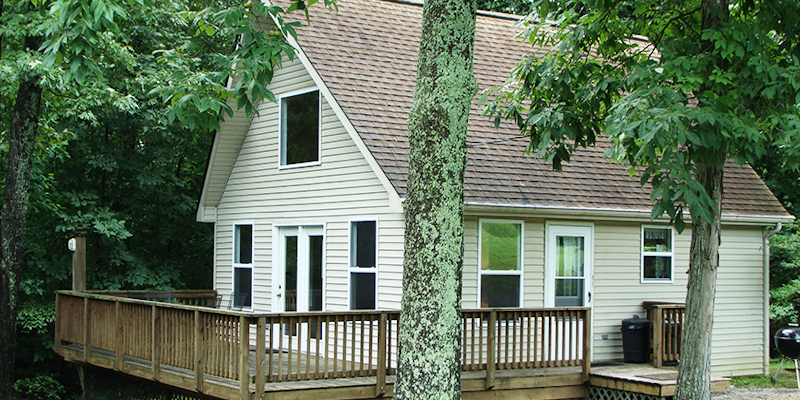 Enjoy first class, yet rustic log cabin accommodations with great hilltop lake views from the front porch. 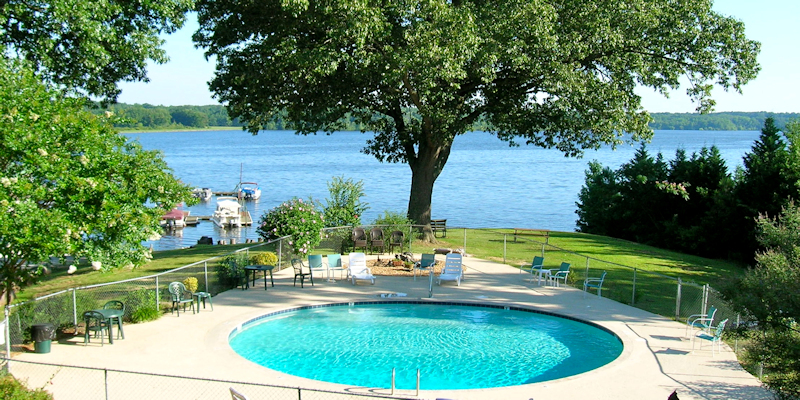 Completely remodeled, it's perfect for a romantic or family getaway. 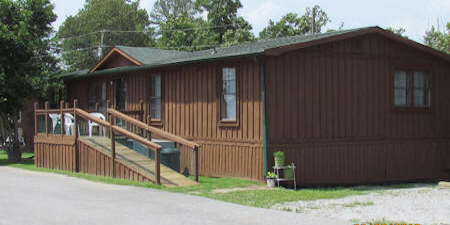 Shelter Point Retreat - South is a three-bedroom, two-bathroom house on Kentucky Lake that serves as a wonderful escape from the hustle and bustle of everyday life. 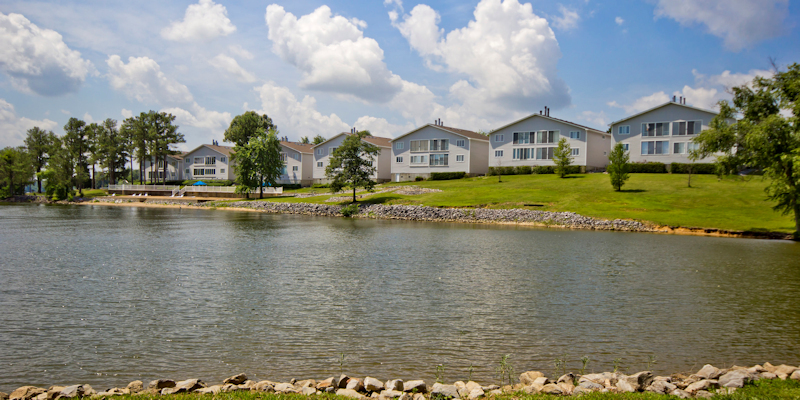 It's a great place to make memories with your loved ones. 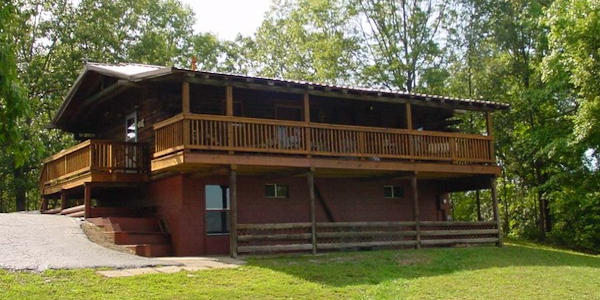 Our modern Log House sleeps up to 16 people and is perfect for Family Reunions, fishing & golfing groups, etc. 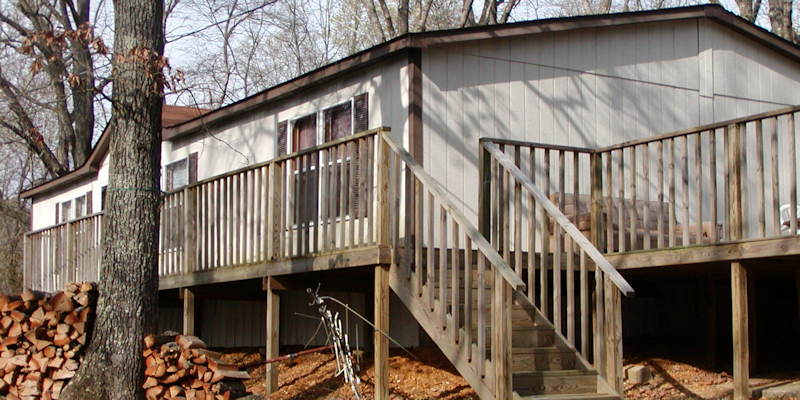 We also offer smaller cabins for 2-4 persons. 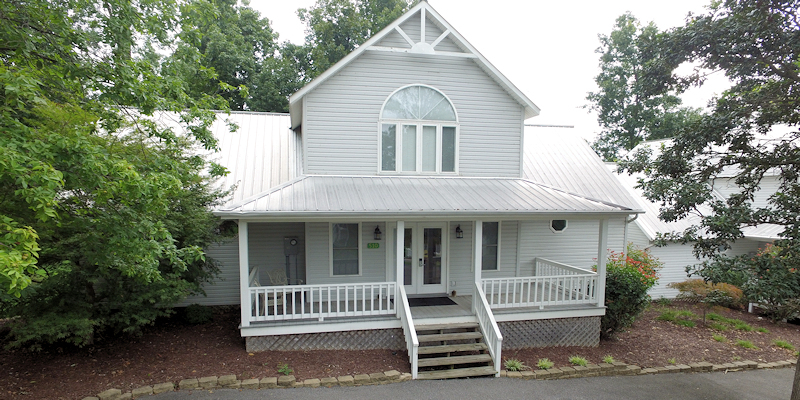 All this is on 3 beautifully landscaped acres. 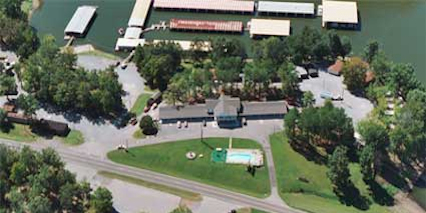 Great fishing & golfing abound! 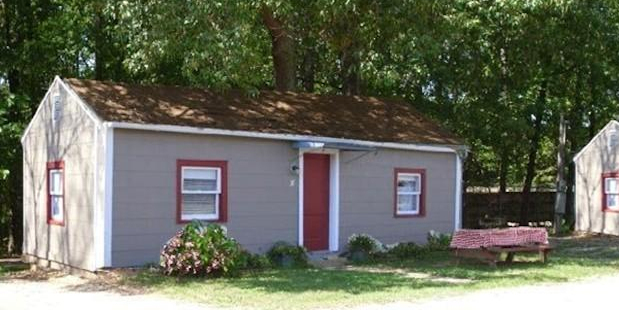 Just 3/4 mile from beautiful Kentucky Lake. 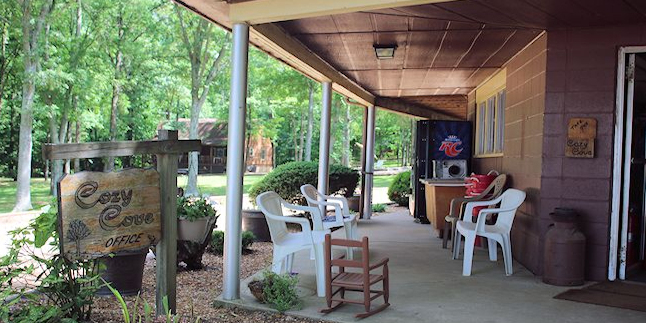 We have several different lodging accommodations to choose from that are excellent for families, hunters, fisherman, or anyone else wanting to enjoy what the Kentucky Lake area has to offer. 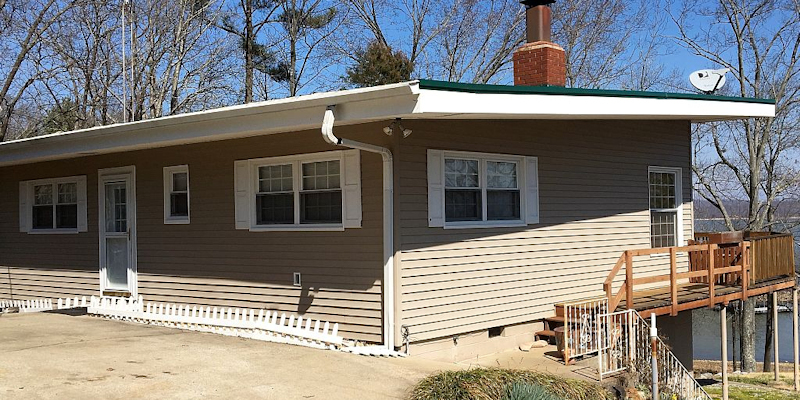 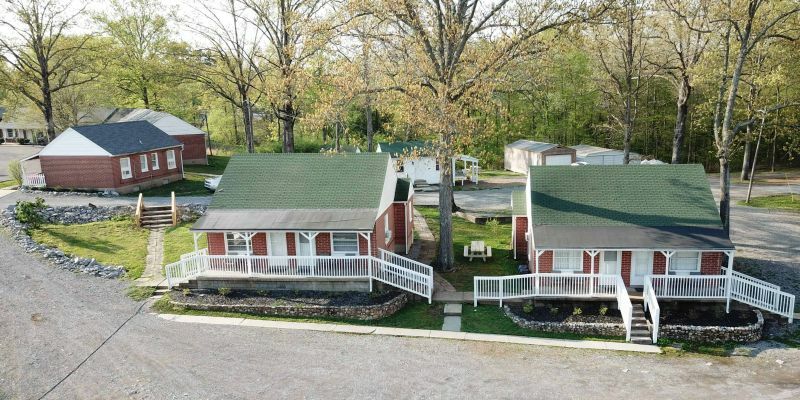 Shelter Point Retreat - North is a three-bedroom, two-bathroom house with an additional full one-bedroom apartment just steps away on Kentucky Lake. 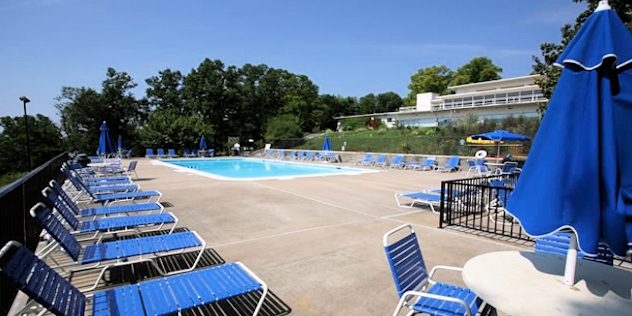 It serves as a wonderful escape from the hustle of everyday life and is a great place to make memories with your loved ones. 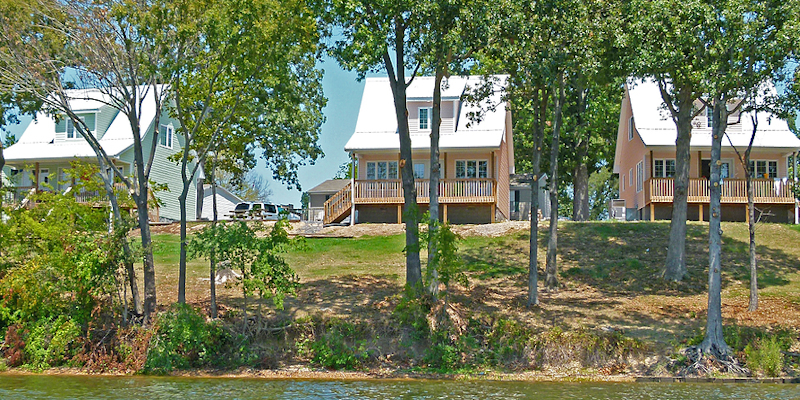 Exquisite cabin, located directly on Kentucky Lake! 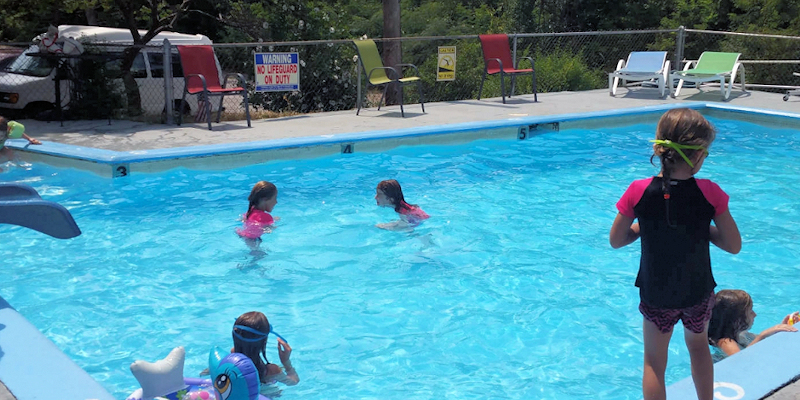 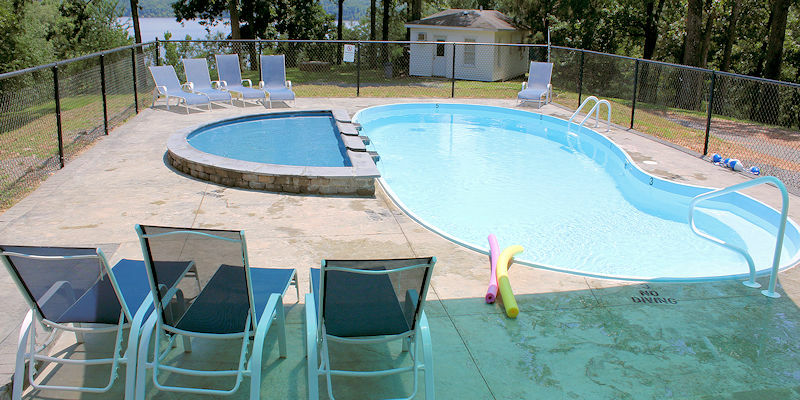 A perfect retreat for families or friends to build memories that will last a lifetime. 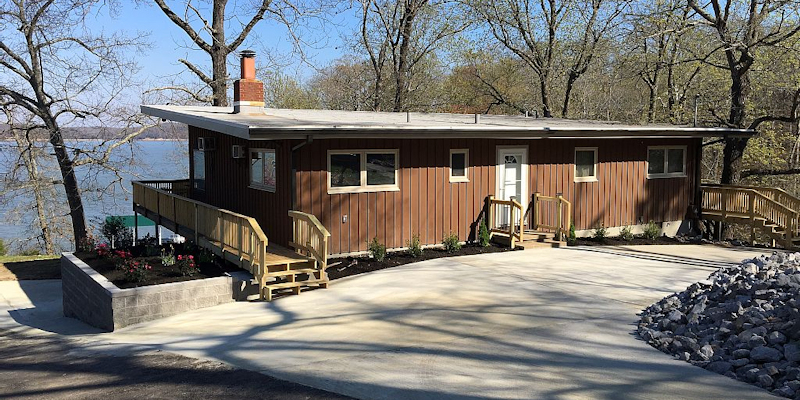 This 2,000 square foot cabin exudes a lodge-style atmosphere that will leave you feeling completely at-ease. 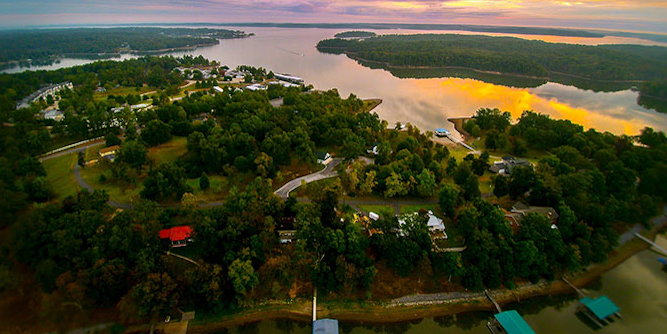 So come, relax, and enjoy all that this property and Kentucky Lake have to offer.